In this “in the spotlight” I’d like to talk about Bela Lugosi. Bela Lugosi is probably my favorite actor from the black & white era. His actual name is Béla Ferenc Dezsö Blaskó and was born in Hungary in place called Lugos, which of course later gave him his last name Lugosi. He started out as a stage actor and later became an actor in films and series. He made movies from 1917 until 1956. But his big breakthrough was in 1931 when he played Count Dracula in the universal horror classic “Dracula”. Later he went on to do more great films and a lot of them were in the horror genre. He also did many not so great films to be honest, but then again which actor hasn’t haha. Dracula was the first film I saw with Bela Lugosi in it. When I saw it the first time I immediately loved his performance. It is kind of hard to describe what I like about him, but I’ll try to explain a bit anyway. To me he always comes across as a real gentleman but he always something eerie about him. He has this evil smile and look that he can give. He also has this very distinctive Hungarian accent which makes his dialogues all the better. I guess you just to have to see him act to know exactly what I mean. Unfortunately Bela Lugosi died in 1956 at the age of 74. In the last couple of years of his life he met a young director named Ed Wood. Lugosi started in 2 of his movies. The last footage of Lugosi that was shot on film was also used in Ed Wood’s “Plan 9 From Outer Space”. Which now is known as one of the worst movies of all time, although I think it is highly enjoyable haha. This last part of Lugosi’s life can be seen in Tim Burton’s film “Ed Wood”. Martin Landau plays the part of Bela Lugosi and does an excellent job. He actually won an Oscar for this role. This is kind of ironic since Lugosi himself never came close to winning one. So if you are not into the old black & white movies I’d suggest you give “Ed Wood” a try. But just so you know this movie is in black & white as well. But as mentioned earlier Lugosi also started in many great films. My absolute favorite of his is “The Raven”. I already talked a bit about this movie in our article “Let’s Talk Horror”. 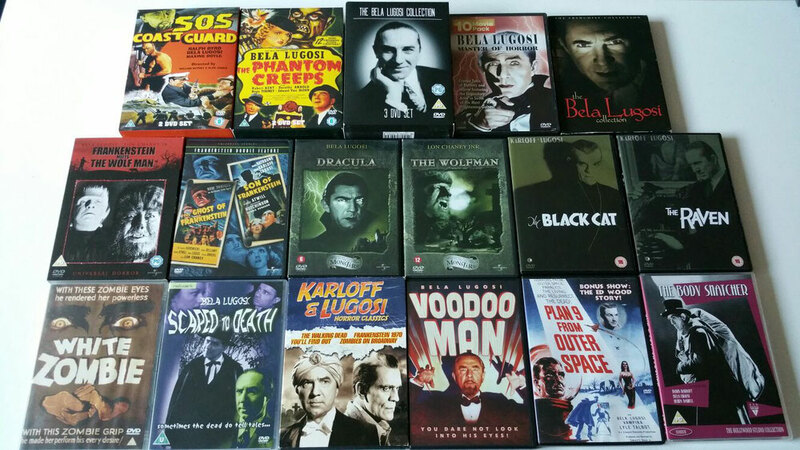 But here is a list of my favorites, not all of them him have Lugosi in it as the lead though. This list based on the movies that I have seen so far, of course I have not seen them all. So if you have tips for me which one I should watch, please let me know. Another great actor from the same era was Boris Karloff. Karloff and Lugosi did quite a few films together. But Karloff always seemed to get top bill. Which in my opinion wasn’t always fair. Don’t get me wrong because I’m huge fan of Boris Karloff as well. But Lugosi did sometime outshine Karloff in my opinion. There were always rumors that there was a feud between Lugosi and Karloff but later that was proven not to be true. We haven't watched all this movies... We have to watch them during our free time, we love movies! I've seen just a few clips from its movies and I personally thought his performances were great. What do you think of Christopher Lee portraying Dracula? Such an iconic face! I haven't watched Dracula but I recognize his face! @Iris I also love Christopher Lee as Dracula. He gave the character his own twist in a very unique way. Omg we used to talk about him in acting class all the time. I agree he is legendary especially when it comes to the Dracula movies. Great post. His accent is so iconic, right? Everyone just knows who you're doing when you do a Bela Lugosi. And honestly, it's the most brilliant name to say - it just rolls off the tongue! I'm been watching black and white Dracula movies, coz it's more exciting but I didn't know his name, not until today! Thanks Carola! Who doesn't love a Bela Lugosi film?! True grandfather of early horror films. This is so classic. So that is his name, Bela Lugosi. Who can forget that movie, that was a movie that ought to remain in the annals of history forever - Dracula! Imagine, I was not born in his era, but my childhood was haunted by his role as the vampire because I happen to watch a re-run as a kid a long time ago. I knew when I read Bela Lugosi that the name is familiar to me, but I just couldn't remember from where! Thanks for reminding me. Dracula is ultimate classic and I love black and white movies! I have never heard his full name before. Amazing collection! I may have not seen his movies yet but my mom and other relatives surely know him. They would always retell Dracula just to scare me and send me to bed. Those were the days. Yet, I have watched other classic films (e.g. 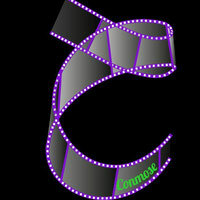 Charlie Chaplin's films, Audrey Hepburn's, etc) and truly, those were the best films ever! I'm not really familiar with who he is but I guess I have to say I'm getting a bit curious. The way you described him, he seemed like a really good actor. And oh, the movie covers of all the DVDs (wait, are those DVDs?) seem pretty interesting too! I might give some of them a try watching. With all those collections, you sure love him as an actor. Well, I bet his films are really interesting knowing that he was once Dracula way back then. I didn't know him until I read this post. I was fanatic with Dracula since I was a child and I'm happy that I know more about him with this post. I liked what you picked. These horror movies makes me wanna watch more often because of the season near to halloween. I will try to find these in a old video store near in my place. I hope that I will like it also what. The first movie I will watch is entitled "White Zombie"